"I’d rather be single and unemployed than partnered off and receiving a pay cheque to live a life where I’m not truly myself. Because in the end, that would be me living someone elses life, rather than my own. Faking my own life seems rather ridiculous." It´s wintertime. It´s time to rest, reflect and plan ahead. It´s the new chinese year. 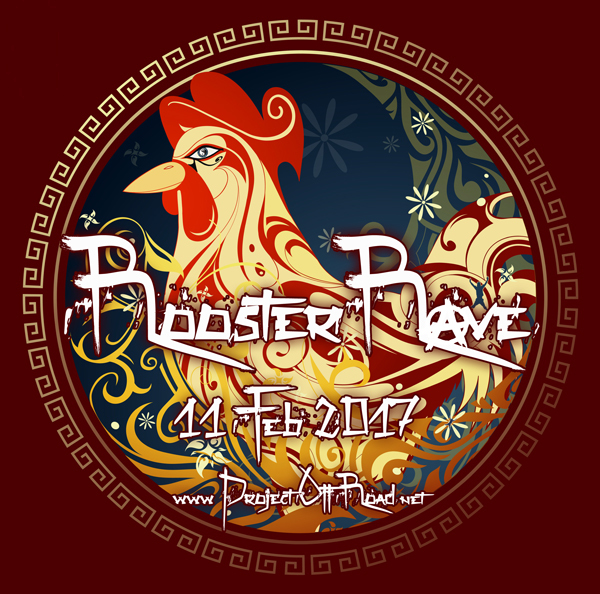 It´s the year of the Red Fire Rooster. This is the year when you will need to work (and party) hard and be patient in order to achieve your goals. ProjectOffRoad calls out to all the ravers in the nation(s) - to celebrate - to share - to UNITE on the 11th of February in the campo of Facinas. An ARRIVAL plan you´ll find in the upper main links of this very webpage. First people will arrive around midday to help setting up for the night and relax and tune in heavenly afterwards. In the evening we gonna fire up the barbeque to get a good base for the night - please bring your own food! The actual party will start in the evening/night depending on the people, normally around 23:00. No fixed timetable, just pure and spontaneous fun. Drinks - there will be an OPEN BAR where everybody puts his drinks and takes whatever is there - sharing is caring folks! Feel free to share this link with your close friends, but please do NOT share it on any social media since this is a private party for friends and friends of friends ONLY! THANK YOU and see you all very soon!